By Gary -- EUREKA! 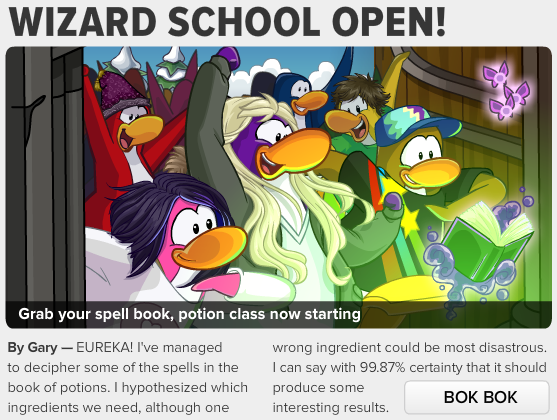 I've managed to decipher some of the spells in the book of potions. I hypothesized which ingredients we need, although one ingredient could be most disastrous. If you click "BOK BOK" you will be able to read more. You'll need to keep your magic skills sharp. I'll be working hard to get you new spells to test! 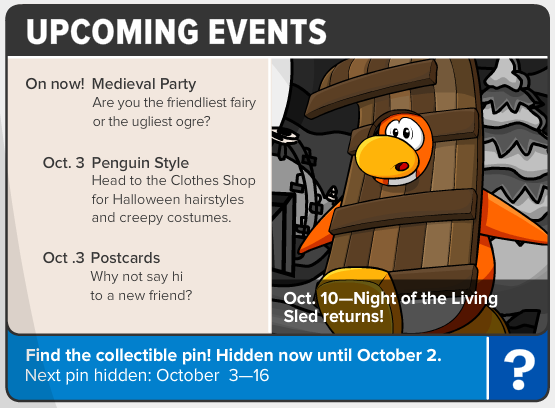 I've already spotted a few wizards transforming into white puffle unicorns! Can you believe it? Medieval Party - Are you the friendliest fairy or the ugliest ogre? Postcards - Why not say hi to a new friend?